Crazy time! 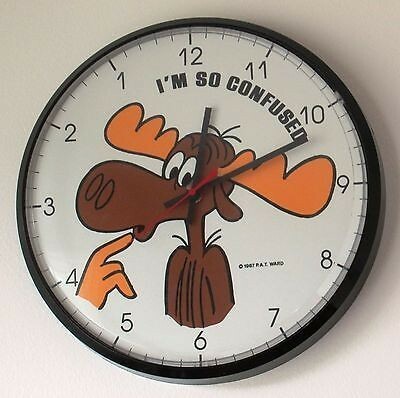 I miss my backwards Bullwinkle clock. Those of you unfortunates in the rest of the USA lost an hour today. We in Arizona (and Hawaii; our fellow holdout Indiana succumbed to the Borg a few years back) do not practice such nonsense. The idea was first proposed by Benjamin Franklin, though it was a moot point since official time zones had not been established. It came into common usage in Germany during World War I with the rationale of saving coal by promoting energy savings. Daylight Savings Time is the archetypal grand government scheme in that its proponents exaggerate benefits and ignore negative external costs. If it’s such a great idea, private businesses are free to adopt summer hours on their own initiative. There’s no need for coercive standardization. The original benefits touted for DST were energy savings. By adjusting the hours most people were awake, it would supposedly require less use energy usage. Wikipedia’s article on DST reports several studies in which energy savings were predicted, but subsequent follow-ups showed little to no benefits. In fact, when Indiana adopted DST in 2006, energy consumption actually increased due to greater use of air conditioning in the summer evening hours. The other alleged benefit of DST is that people can enjoy more time after-work outdoor activities in the summer. Here in Arizona, this is a drawback. Due to the high temperatures, we welcome the sunset. (A few years back, our august legislature proposed reverse DST. Ugh!) Again, private businesses are free to adopt summer hours. Government offices could do so as well. However, with increasing air pollution and traffic congestion, communities would benefit far more from staggered work schedules, which would render the whole issue moot. Now for the widely ignored downside: DST has a significant detrimental effect on health. Days on which the clock shift see a 10% increase in heart attacks (also from Wikipedia.) Its effect on global business is a nightmare because the many nations who observe “summer time” tend to shift their clocks on different days, making time coordination more baffling than a backwards Bullwinkleclock. For example, Mexico adopted DST as a result of NAFTA (so-called “trade pacts” have little to do with reducing tariffs and everything to do with the centralization of authority) even though, as a sub-tropical nation, it sees little benefit. It’s interesting to note that Mexico changes its clocks on different days than the US, meaning this “standardization” simply increases confusion. Daylight savings time is a scam that offers our citizens little or no benefit at a significant cost. If we’re going to eliminate grand government schemes this would be a good place to start, since its repeal wouldn’t bankrupt any companies or start any rebellions. President Trump, gadfly that he is, should consider this move as a less controversial way to benefit America. The wise Victorians didn’t observe DST. 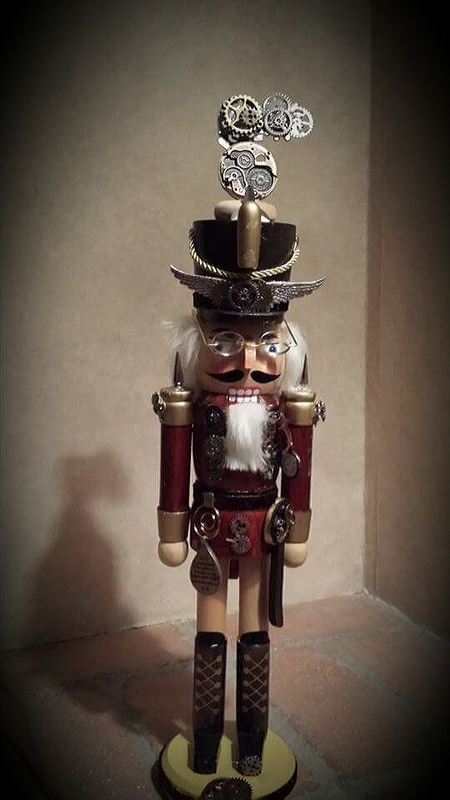 Escape to a simpler time with my steampunk novels Fidelio’s Automata and Miss Ione D and the Mayan Marvel. Former Exxon-Mobil CEO Rex Tillerson, Donald Trump’s nominee for Secretary of State, was on Capitol Hill yesterday for confirmation hearings before Congress. Given the general hysteria over Tillerson’s business ties with Russia, I thought at first he’d be a good pick. Nothing is more important than repairing America’s damaged relations with Russia. It’s a powerful country, rich in resources, with an educated population and a shared opposition to Islamic terrorism. Most importantly, it has nuclear weapons, so to attack it would be suicidal. Unfortunately, the US government is lousy with “exceptionalists” who deny that Russia has the right to defend its own interests. They’re apoplectic that Moscow has opposed the illegal installation of hostile regimes in two of its former allies, Ukraine and Syria. The neo-conservative anti-Russian crusade is not about “human rights.” If we cared about that, we wouldn’t support countries like Saudi Arabia that murder gays and enslave women. 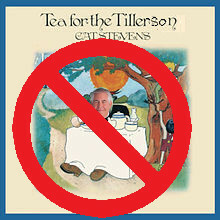 As for Tillerson, he’s more of a war-hawk than his detractors thought. He supports our pointless sanctions on Russia as if either Crimea or Aleppo was any of our business. Furthermore, the accusations of Putin “hacking” the Presidential election are just that, accusations, unsupported by credible evidence. Even if the Kremlin DID hack the Democratic Party’s server, the released information was true and relevant to the voters’ decision, so the leak was a public service. Perhaps Rex is repeating this neo-conservative rubbish so the clowns in Congress will confirm him. I hope that’s the case, but I have my doubts after hearing his belligerent remarks about China. What gives us the right to tell a sovereign nation what it can and cannot do in its own coastal waters? Open navigation in the South China Sea is critical for Beijing’s survival. Despite that fact, Rex insists that China must stop building artificial island bases and threatens to send our Navy to kick them off. Is this man insane? It’s acceptable to make war for our own national defense, but not to attack the vital interests of another country. China has every right to defend itself and having come late to the party, there are no leftover islands for it to occupy as bases. To Beijing’s credit, these built-up shoals were not inhabited. They’re not conquering and coercing native peoples as we did with Guam, Samoa, Hawaii and Puerto Rico. Even Diego Garcia, which the US rents from the UK, was stolen from its native population. Why do so many powerful Americans continue to frame other nations’ defensive moves as aggression? It must be psychological projection because the US is second to none at portraying imperialism as defense. We needn’t accept this nonsense. Congress should reject Tillerson’s nomination, not because he’s (allegedly) soft on Russia, but because he’s unhinged, unfair, and unbalanced on China. 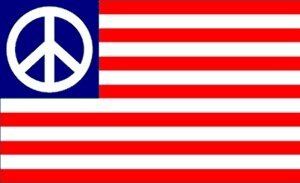 We don’t need another conflict, especially one that could escalate into a nuclear war. If you like political intrigue, you’ll enjoy my novel Centrifugal Force. The science of genetics has added a fascinating dimension to the history of mankind. For example, we once thought that Neanderthal people went extinct. Now scientists believe that modern humans have Neanderthal genes, meaning that our ancestors got close and personal with their caveman cousins. It’s also fascinating to consider when humans first occupied what parts of the earth, and in what direction they migrated. New theories have provoked fierce debate about migrations to places like Australia and the Americas earlier than experts previously believed. Genetic analysis of human remains is one piece of this puzzle. 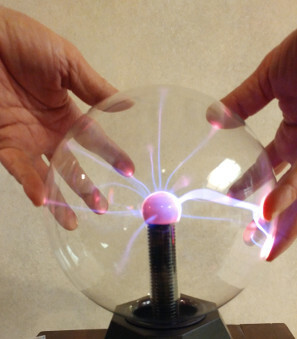 Why is this branch of science not more popular than it is? I suspect the reason may be political. For the last few months, I’ve been reading the Gene Expression Blog by Razib Khan at the alt media site unz.com. I’ll write more about that excellent site in an upcoming blog post. Khan is an avid reader and a prolific writer on evolution, history, religion, and philosophy. He also writes frequently about the field of personal genomics and controversial services such as 23andMe. Khan’s profile lists him as a graduate student in genomics at UC Davis. His column has renewed my dormant interest in human genetics and paleo-history. The problem is, Khan doesn’t stick to the narrative. He engages with publications and groups that are politically incorrect. Last year the New York Times booted him off the editorial pages for that reason. The gossip site gawker.com had outed him for his association with allegedly “racist” sites takimag.com and vdare.com. That’s their loss and Unz’s gain. It gives me great satisfaction, however, that VDare and Taki’s Magazine are still going strong, but Gawker is no more. My point is that science shouldn’t make value judgments. Research gives us information, which we can use for good or evil, to help people or hurt them. You may ask, what good does it do for us to know how and where humans originated, and the differences between racial groups? We don’t know. Neither did the Pope Urban VIII at the time he censured Galileo. He couldn’t have foreseen space exploration and its benefits, yet his closed-mindedness could have prevented all of that. 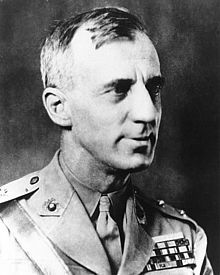 On this Veteran’s Day, I’d like to remember one of America’s most decorated veterans, Marine Corps Major General Smedley Butler. He was one of 19 men to be awarded the Medal of Honor twice. He was also one of America’s bravest truth-tellers, author of the 1935 classic War is a Racket. This book is available in digital form on Amazon for 99 cents. Butler participated in American military actions in several countries, including the first World War. He did not become outspoken until after his retirement. One of his most controversial actions was coming to Congress with information about the so-called Business Plot, a conspiracy to overthrow President Franklin Roosevelt and replace him with a military dictator. All the alleged conspirators denied it, of course, but a Congressional committee verified at least some of his testimony. I highly recommend reading Butler’s book. It’s quite short and can be read in a few hours. Though written shortly before WWII, it nevertheless seems to mirror current events, as Butler writes about all the extravagant profits earned by various “patriotic” industries, from steel to leather (for cavalry saddles.) He also condemns the use of the US military as an enforcer for corporate interests in other nations, such as United Fruit Company’s abusive, monopolistic practices in Central America. Butler didn’t live to see the second World War that he was warning the nation about. He died of cancer in 1940 at the age of 58. Besides “War is a Racket”, he wrote books about military actions in Mexico and Paraguay. Some of his speeches and letters have also been compiled and published. One of his co-authors was Arthur J. Burks, a marine colonel and a fascinating character in his own right. Burks wrote numerous books and stories in the adventure, detective, and sci-fi genres. If you’re an admirer of Smedley Butler, you’ll enjoy my political sci-fi novel Centrifugal Force, because he’s mentioned in it. It was a sad day in 2006 when our beloved 9th planet Pluto was demoted to a dwarf planet. Pluto was always the problem child, but we loved it anyway. It was the smallest planet, whose orbit was inclined at 17 degrees to all the others. Even more troublesome, its orbit crossed that of Neptune, so that for part of its 300+ year orbit it was actually the 8th planet from the sun, rather than the 9th. (It will never collide with Neptune, thanks to that tilted orbit.) To top it all off, it was discovered here in Arizona. Unfortunately, the rebel planet had to be demoted with the discovery of Eris and a half dozen other large objects out in the Kuiper Belt – because if Pluto remained a planet, all these newcomers would be. It was not easy to break the habit of thinking of 9 planets. The “Church of 9 Planets” in Heinlein’s Stranger in a Strange Land would need a new name. Therefore it was a relief to hear that there was probably still a 9th planet out here – and this would have to be a decent size, several times bigger than Earth. 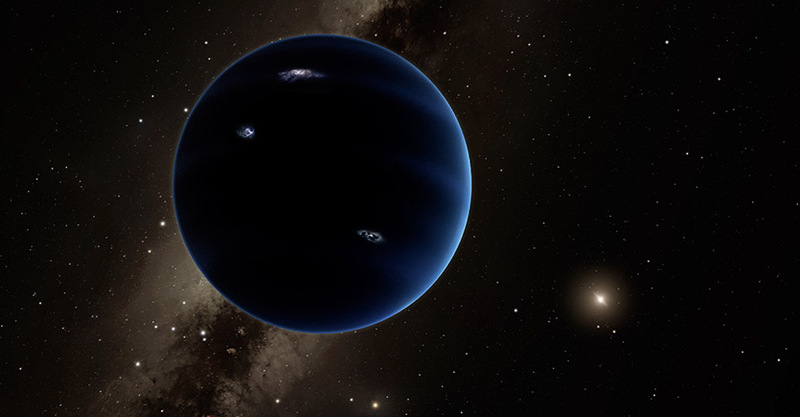 It’s ironic that Michael Brown, the astronomer who discovered Eris who jokingly calls himself “Pluto killer,” who along with colleague Konstantin Batygin, proposed the existence of a new Planet 9. Their reasoning was a suspicious alignment in the orbits of Kuiper-belt planetoids. (This is the same reasoning Percival Lowell used to initiate the search for Planet X that ended up finding Pluto.) Something massive had to be shepherding them into similar orbits, and they were too far away for Neptune to be responsible. Since then there’s been a major effort to find it, which is a challenge. It’s so far out and so dim it taxes the abilities of our biggest telescopes to find it. Of course, the crazies have come out of the woodwork. I’ve seen numerous Internet articles proclaiming it as the legendary Nibiru, or death star, the dark planet that periodically sends comets toward the Earth causing mass extinctions. The idea of the Sun having a distant unseen companion is actually a respectable scientific theory, but the theoretical Planet 9 doesn’t seem big enough to fit that bill. 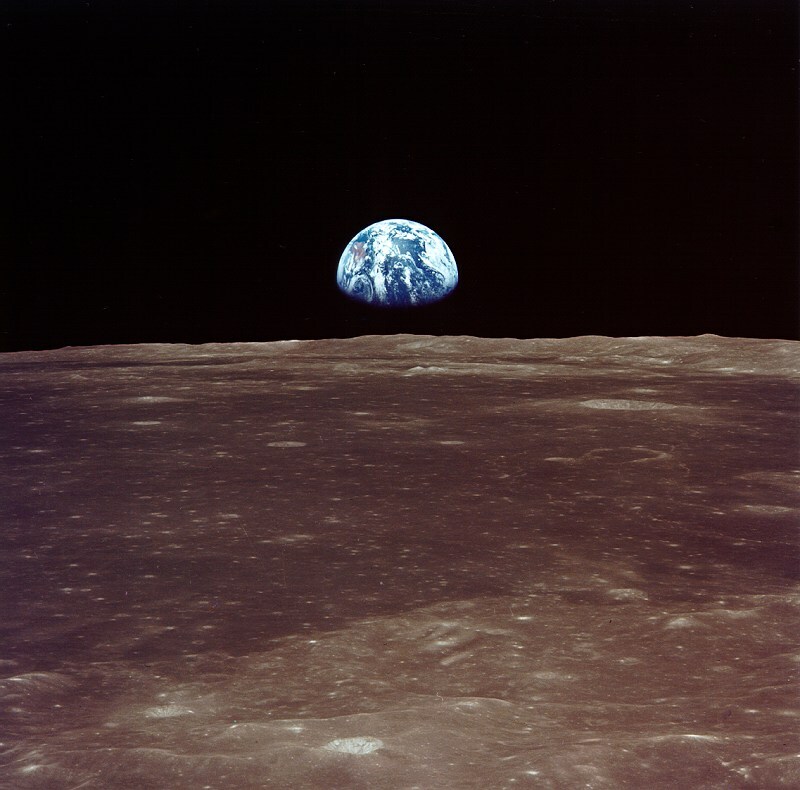 Nor do astronomers expect any imminent threat to our planet. The other issue is, what will we call this new planet? By convention, trans-Neptunian objects are named, like Pluto, after gods of the afterworld. (Eris is an exception, but the “goddess of chaos” theme was quite appropriate to what its discovery did to the world of astronomy.) Perhaps we should take a hint from Herman Melville and call it Ishmael. Tomorrow is Guy Fawkes Day, a British holiday which commemorates the foiling in 1605 of an anti-royalist conspiracy to blow up the House of Lords. Traditionally, it was celebrated with bonfires and burning effigies of the treasonous Fawkes. It’s ironic that the image of this historical villain has been transformed into a heroic symbol of anarchism and the liberty movement. This is because in V for Vendetta, the graphic novel by Alan Moore and David Lloyd, the anti-government protagonist wears a Fawkes mask to hide his identity. This work and its popular movie adaptation led the hacker group “Anonymous” to adopt the Fawkes mask as its symbol. In a case of life imitating art, they have staged protests with masked members, just like in the movie. This brings up the question of extralegal political action. When is it justified and in what fashion? On one end of the spectrum, we have violence against people, including political assassination. While this may be justified in the case of a Hitler or Stalin, it is almost always counter-productive. As the Who put it, the “new boss” will be “same as the old boss.” Terroristic and retaliatory violence is similarly flawed. If an organization is willing to sacrifice innocents in order to gain power, how will it behave after the battle is won? If we expect them to change, we will surely be disappointed. At the other end are peaceful protests, including the non-violent civil disobedience advocated by Mahatma Gandhi and Martin Luther King, Jr. Such tactics are more likely to achieve lasting change, but they may require members of the movement to sacrifice their freedom or even their lives. Furthermore, nonviolence is less effective against authoritarian governments, which is why Iran’s “Green Movement” did not achieve its goals. In the middle, we have destructive but non-violent action, such as sabotage, computer hacking, and release of secrets. This may be the only option when peaceful and legal channels are blocked. In the US, the release of state documents by Wikileaks has done tremendous good in revealing the machinations of the power elite. Cyber-attacks against institutions that kill innocents and violate our privacy, such as the CIA and NSA, would also be morally justified. Unfortunately, it’s unlikely that hackers could win those battles. This is why the rebels have focused on easier targets such as corrupt politicians and thieving bankers. I believe that extralegal action is sometimes necessary, even in a “free country” such as ours, because democratic systems are prone to capture and manipulation by the rich and powerful. Those who participate in such actions must be aware of the risk. Consider, for example, the steep price Chelsea Manning is paying for blowing the whistle on US atrocities in Iraq. Violent actions, such as Fawkes’ “Gunpowder Plot” are not just wrong, they are damaging to any positive goals one might have. If you’re a “V for Vendetta” fan, you’ll love my books. Check them out on Amazon.